After generations of providing specialty pharmacy services, Pharmacare Hawaii still has the best interests of local families at heart. 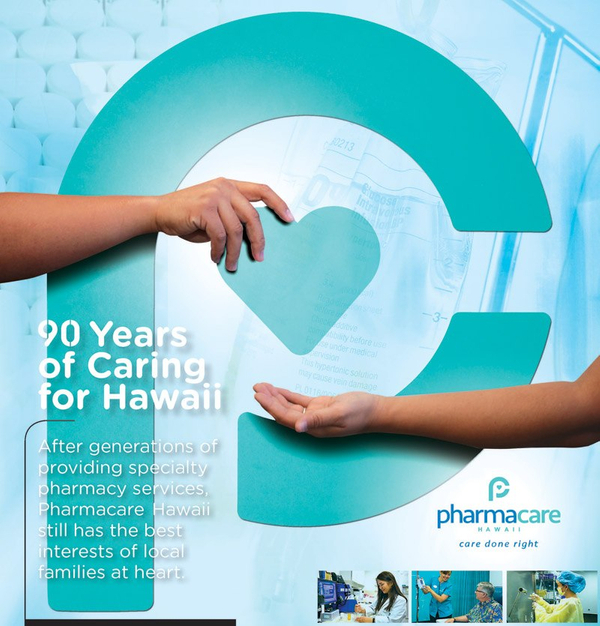 In celebration of Pharmacare's 90 years in service, we had the opportunity to be featured in the Honolulu Star-Advertiser paper. We'd like to give a big Mahalo to all of our supporters who made this feature possible, the Honolulu Star-Advertiser for the special recognition, and last but not least, our employees for always having the best interests of local families at heart and for truly providing care done right. Click here to be taken to the print replica.